Over 10 years ago when I was working in Beijing, a local colleague admitted his parents were severely fined for having another child -- him. 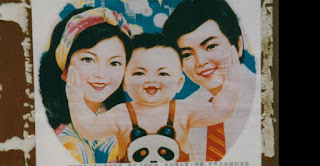 They were anxious for a boy, and finally had one, but his parents were punished because they were senior Communist Party members. He said their punishment was a very high fine and being socially looked down upon for not obeying the one-child policy that was implemented in 1979. In the end he managed to leave China to study an MBA at Duke University and now runs his family's company. A financial penalty can make life difficult to make ends meet, but what about the horrific stories of women in rural areas who were forced to have abortions in their second and even third trimester because local officials wanted to keep the birth rates down in order to have good job performances? The physical and psychological scars are indelible. But now the Chinese government is doing away with the draconian policy and allowing parents to have not only two but more children. 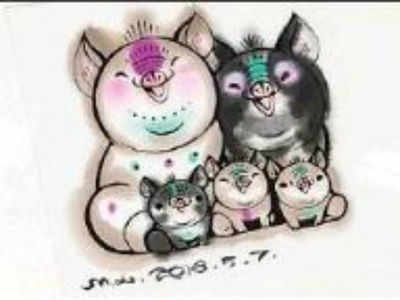 There are even propaganda posters of families of pigs, supposedly a metaphor that the more you procreate, the happier your family will be. However, women aren't buying it. Since the one-child policy, more young women are getting a higher education, focusing on careers and getting married later. There's also the rising costs of having a child; many can only afford to have one. There is also the statistical problem of fewer women in the population thanks to the one-child policy, as families preferred boys of girls in almost 40 years. 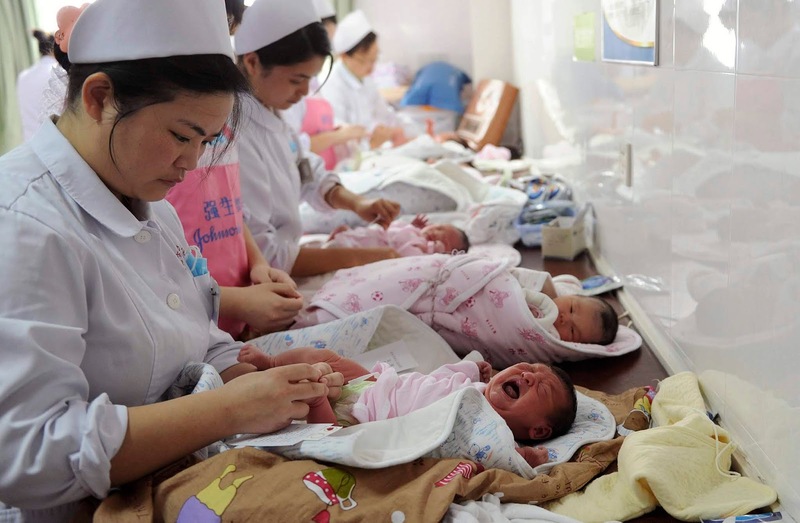 According to He Yafu, a demographer and author of a book on the impact of China's population controls says the number of women between the ages of 20 and 39 is expected to drop by more than 39 million over the next decade, to 163 million from 202 million. "Without the introduction of measures to encourage fertility, the population of China will drop sharply in the future," he said. This is a huge looming problem because the shrinking workforce won't be able to support the elderly not only in terms of manpower but also pensions. As a result different provinces have their own incentives or punishments in order to get couples to have more children. 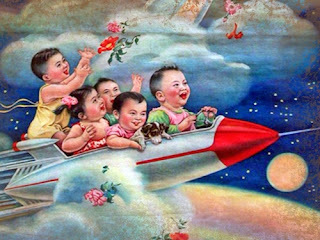 For example, in Liaoning, one of the provinces with the lowest birthrates, is proposing several benefits for young families, including tax breaks, housing and education subsidies and longer maternity and paternity leaves, as well as investments in clinics and preschools. Meanwhile in Jiangxi province, the government has reissued guidelines on when women can get abortions. There is a concern the rules will be strictly enforced, such as requiring a woman who is more than 14 weeks pregnant to obtain three signatures from medical personnel before an abortion. Two other provinces have made it harder for couples to divorce, in the hopes that they will stick it out and have children. Talk about not having control over one's body. "Women cannot decide what happens to their own ovaries," one person complained on the microblogging platform Weibo, after Jiangxi announced its abortion guidelines in July. The one-child policy has been slightly modified since it was instituted in 1979. Rural couples were allowed to try for another child if their first one was a girl, while ethnic minorities could have as many children as they liked. In 2013, if the husband and wife are only children, they were allowed to have more than one child. Then two years later, all couples could have two children. This latest policy change didn't get the big baby bump the government was hoping for -- in fact the birthrate last year dropped, causing Beijing to worry. On the one hand the government wants women to be educated and contribute to the work force, and on the other to pump out babies and look after aging parents. However, women get discriminated at work if they become pregnant and lose out on the career track if they don't go back to work after a period of time. What about the men in all of this? With a patriarchal government and society no wonder they think they can tell women what to do. But if they are having children, it's not to benefit the state. Great article... insightful and concise.